So, I was super lucky enough to win an early copy of Lady Midnight from the wonderful Amber at The Mile Long Bookshelf! Since the book has only just been released, obviously I’m keeping this review spoiler free. But you should know that I want to discuss all the things SO MUCH. Hopefully I’ll be able to upload a discussion video at a later date to talk about everything! In the meantime, prepare for this review to be a fangirlish mess. I have a feeling I might ramble a little bit here, so you may want to grab a cup of tea. I’m not joking. Guys, you don’t need me to tell you how much I love Cassandra Clare’s books. 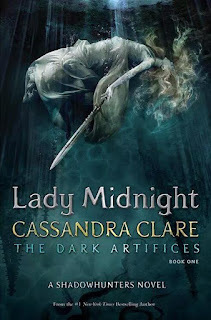 The Mortal Instruments and The Infernal Devices are two of my favourite series’ of all time, so I had high hopes for Lady Midnight, the first book in The Dark Artifices series, and oh boy, did it deliver. This book picks up five years after the end of the Dark War, and it follows parabatai Emma and Julian, as Emma continues her quest to discover the truth about the murder of her parents. The Clave believes that Sebastian Morgenstern was responsible for their deaths, but she does not. When more murder victims show up in the same state as that of her parents, Emma and the Blackthorn family make a bargain to investigate and find the killer. The characters in this book are amazing, there’s no doubt about it. I was worried that they might not live up to the awesomeness of the characters in the previous series’, but I had nothing to fear. As always, Cassie Clare delivered a fantastic array of well-developed, brilliantly intriguing, and diverse characters. I loved getting to know each of them, and I can’t wait to continue learning more about them as the series continues. I’ll be honest, when I first met these characters in City of Heavenly Fire, I wasn’t hugely interested at the time. That’s because I busy worrying about the main characters in the current series! But I knew I’d get more of a chance to know them in The Dark Artifices, and as I predicted, I liked them much more in their own series. Personally, I think I might actually prefer Emma to Clary, which is something I couldn’t predict happening! But Emma has so much wit and sarcasm, she really is like a female Jace. So I utterly adored her. I also loved the tension between her and Julian as their relationship began to change. I’m very excited to see where this goes because of laws against parabatai relationships. My heart actually ached for them at times. The rest of the Blackthorn family are just as interesting. Tiberius is great and I can’t wait to read more about him. I have a feeling he’ll get a bigger plot in the next book. Also, Mark Blackthorn is fascinating. His was the story that stood out for me in City of Heavenly Fire when he was taken by the Wild Hunt. Learning more about him and his time there was one of my favourite aspects of this book. I could probably sit and talk about each of the characters in this book all day, but none of us have time for that, unfortunately. Moving on from the characters, THE PLOT IN THIS BOOK. OH MY GOODNESS. When a book keeps making your jaw drop until the very end, you know it’s special. Those twists in the final few chapters, I was not expecting one bit. I really wasn’t. I pride myself on being able to predict plot twists before they happen, but not with Lady Midnight. Nope. It’s a credit to how great a writer Cassie Clare is that I literally did not see the twists coming from a mile off. Also, a little warning, chapter 22 will utterly rip your heart out. Good luck reading that one, guys. As expected, there were some references to the previous stories set in the Shadow World, and we got to catch up with some of the characters, which was beyond amazing. Jem and Tessa appear briefly, but I expect they’ll be featuring a lot more in this series, which I’m very excited about because I love Jem. Like, a LOT. Also, there is a short story at the end of this book which is AMAZING. I know this is only the first book in this trilogy, and there’s so much more to come, but I can’t fault it so far. There isn’t one aspect of this book that I didn’t enjoy. There were a few plot points that made me frustrated, but that’s exactly what they were supposed to do. Lady Midnight takes you on a journey through a jungle of emotions, and I adored every second of it. I’m very much anticipating the next book, AND THE WAIT FOR IT IS GOING TO BE TORTUROUS. Thank you, Cassandra Clare, for sharing yet another story that completely consumed my heart. You're so lucky you got an early copy! I'm waiting very patiently for mine...but the anticipation is killing me! 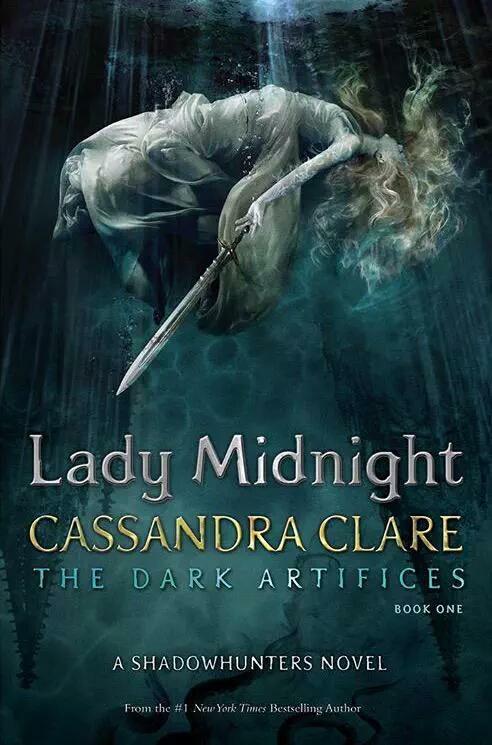 It's been such a long time since we're gotten to read a solid novel be Cassandra Clare. I absolutely can't wait, and I'm glad that the book delivers justice to the rest of the fantastic series! Great review! Although, maybe I shouldn't have read it because now I'm longing for my own copy even more. Can't wait to finally read this too!